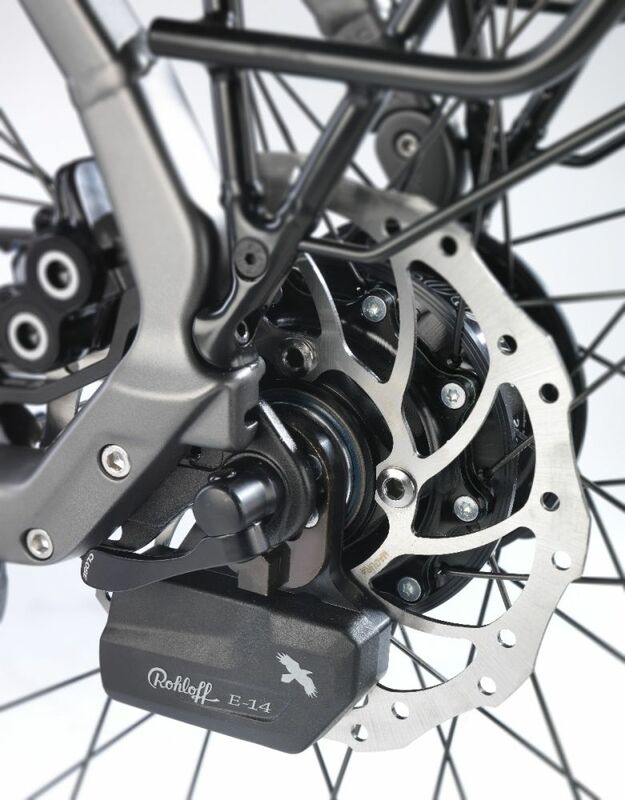 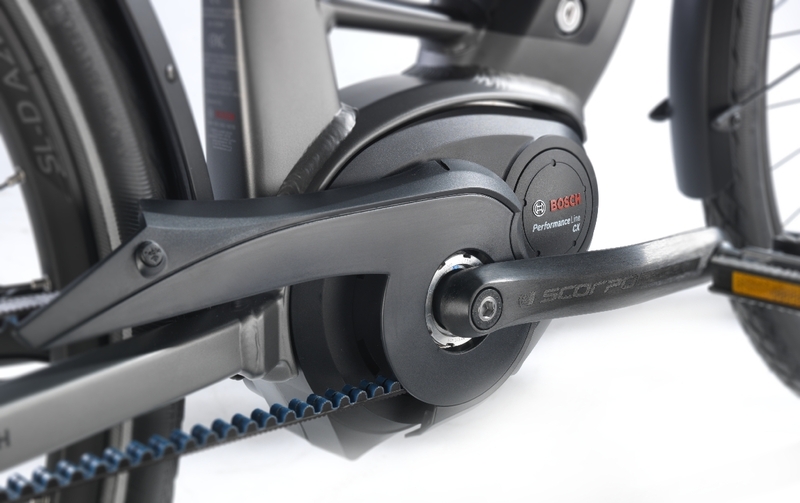 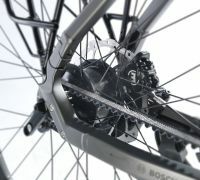 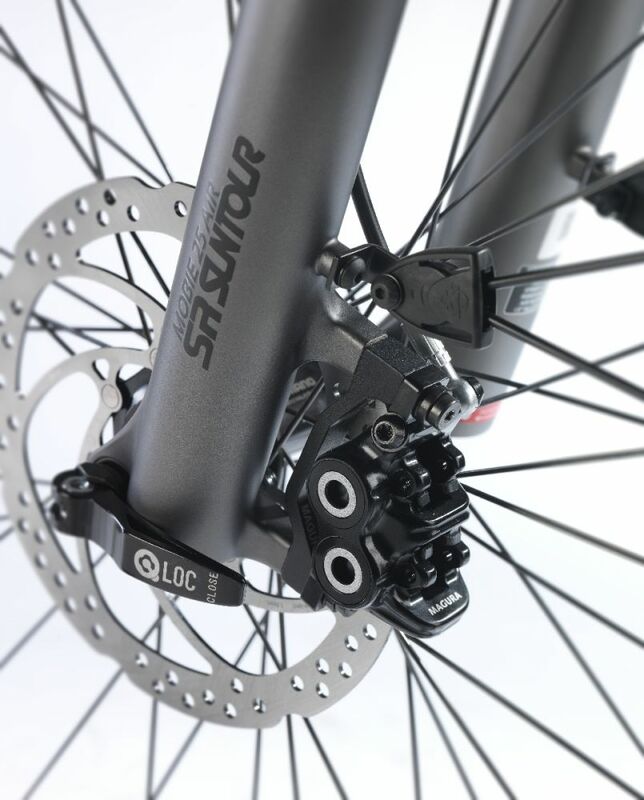 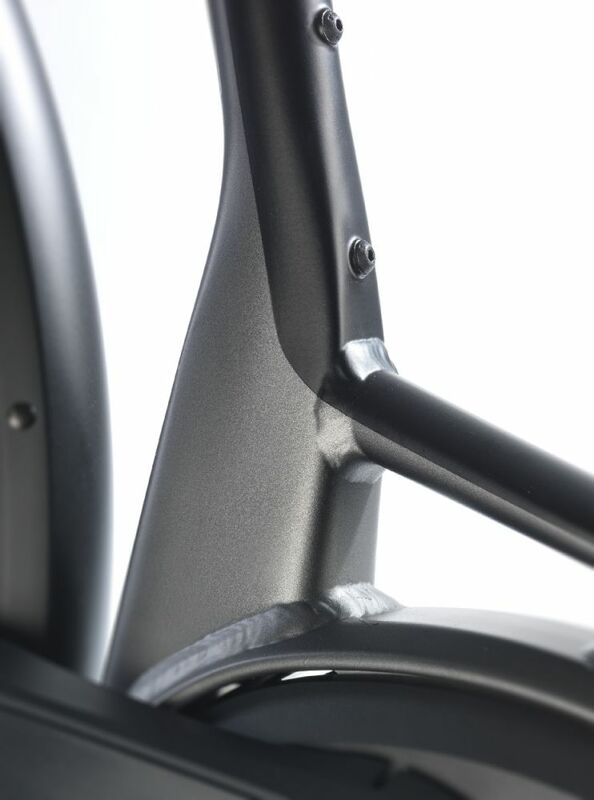 In the automatic mode the E-Rohloff hub shifts back into the pre-selected starting speed. 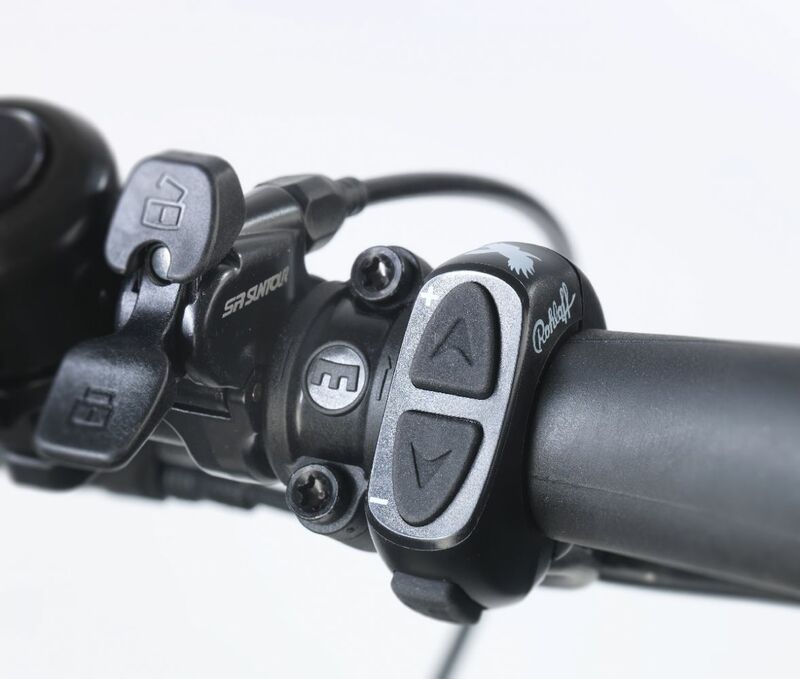 In manual mode the hub shifts three gears up or down at once when the button is pushed for a little longer. 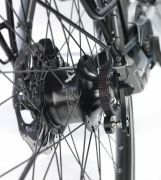 The hydraulic disc brakes MT5N-e from Magura use four pistons instead of two offering lots of power and more precise modulation. 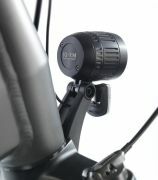 The use of brakes is indicated by the Busch + Müller tail light with brake light function – another feature of this “technology carrier”. The LED headlight, also from Busch + Müller, has an integrated high-beam that increases its already high brightness from 80 to 120 Lux. 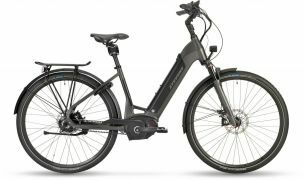 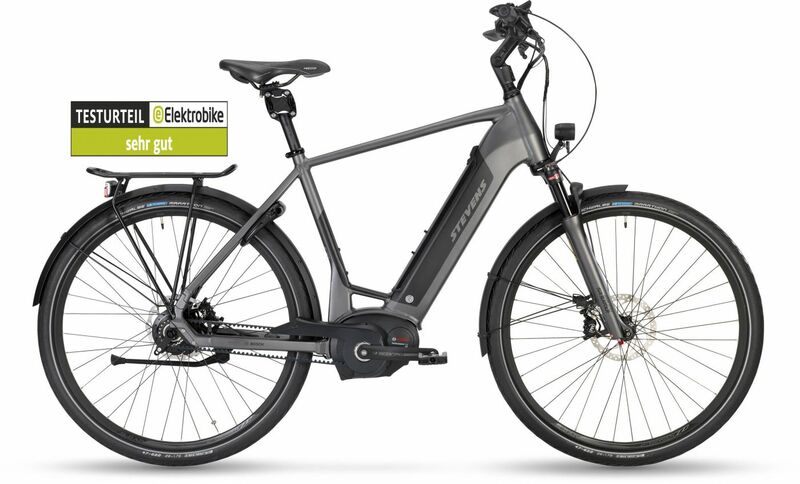 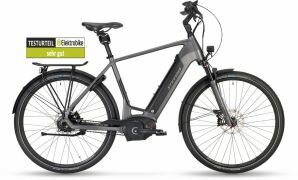 The modern, neatly integrated appearance is added by the thru-axle at the fork that securely clamps the front wheel, by the Bosch PowerTube battery inside the down tube and last but not least the Bosch belt drive. The well-reading Nyon display also from Bosch uses GPS navigation to guide riders to their destination which can even be further away since the bike provided decent range. Conclusion: In short: A bike that is fun to ride. The STEVENS E-14 is available in a Gents’ version in sizes 52, 55, 58, 61 cm as well as in a Forma(low instep) variety in 46, 52, 56 cm at certified STEVENS dealers for 5,999 Euros.